I have worked with children and adults with Special Needs for the past ten years in different facets; therefore, I am well aware of the extra preparation it takes to prepare your child or dependent adult for many tasks in life. 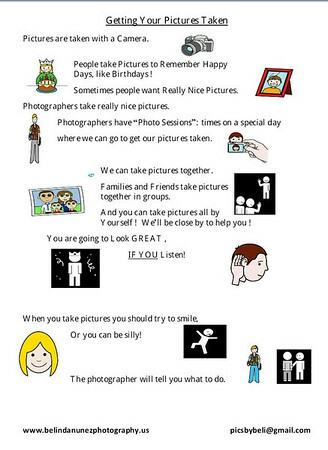 Perhaps attending a photography session may prove to be no different. I am 100% willing to assist in any way that I can to help your family prepare for their special day. Perhaps we can begin with a few phone calls or even better Skype so they can familiarize themselves with me sooner and feel more comfortable when I am putting a camera in their faces. I also am aware of the different sensory challenges of some individuals with special needs and can work with you ahead of time to plan for these needs. The following is a Social Story I prepared that you can utilize with you special needs child/ individual to ready them ahead of time. Please read it to them at least once a day for a week or two prior to our scheduled session. 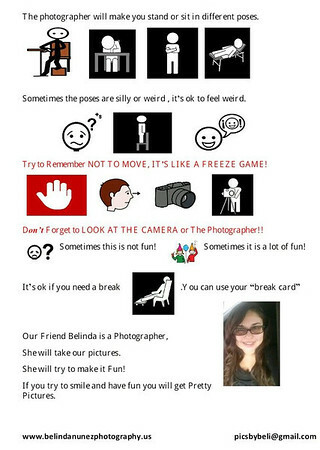 I also added a Break Card that you can practice using. 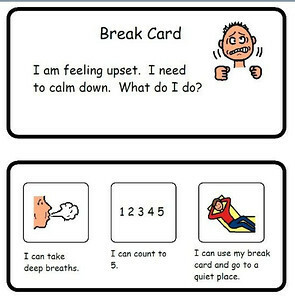 Your child may need to use their Break Card during our session. If you are having difficulty printing my images, please email me and I will send you my PDF file. However you should be able to click the image then simply download the file from the Picture gallery. **These are free, there is no need to buy them, you are welcome to distribute them** I did not create the break card but rather obtained it from a site that also allowed free distribution. 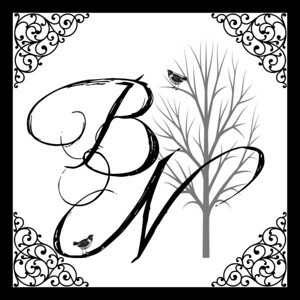 Also Please follow my Pinterestboard for hopes, encouragements, and additional resources I may find or create. If you have any other links that may be helpful please email me , thank you!